To add a new Todo item, click Todo at the bottom right corner of your dashboard, type your Todo in the New Todo section, and then hit the enter/return key on your keyboard. Begin typing your todo, or click the New Todo field at the bottom and then start typing. Once you've typed out your new todo, hit the enter/return key on your keyboard. To complete a Todo item, click on the Checkbox to the left of it. To un-complete a Todo item, click the Checkbox again. 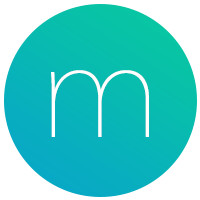 All Momentum users have access to three Todo lists, the Inbox, Today and Done lists. The Inbox list is best used as a master list for any and all tasks that you want to accomplish over time. The Today list is best used to organize a list of tasks that you want to accomplish in one single day. The Done list shows a list of the tasks that you've previously completed. To switch between these lists open your Todo, click the list name at the top and then select one of the other lists from the drop-down. Pro Tip: When the Todo window is open, you can also move between your Todo lists by pressing the left ← and right → arrow keys. Not seeing the Inbox, Today, or Done lists? If you don't see these lists, you likely aren't logged into your Momentum account. To use these lists, login to your existing Momentum account, or create a Momentum account for free! To move a Todo item between lists click, drag, and drop it on either side of the Todo window. Or click the ... that appears to the right when you hover your mouse over it, select the Move to option and then choose the list you want it moved to. Hover your cursor over the todo that you want to move. Click on the three dots that appear to the right of the todo. Click the list that you this todo to appear in from the drop-down list. Pro Tip: You can move a Todo item between your Inbox ←→ Today lists by hovering your mouse over it and then pressing the Spacebar. We all make mistakes. To edit a Todo item, double-click, make your changes and then hit the enter/return key on your keyboard. To change the order of your Todo items click, drag and drop any of them up or down the list. Left click (and hold) the Todo item that you want to move. Drag the Todo item up or down your list (keep holding down the left mouse button). Release the left mouse button when the Todo item is where you want it to be. Deleting a Todo item will permanently remove it from your Todo list. To delete a Todo item, hover your mouse over it, click ... that appears to the right of it and then select the Delete option. Archiving a completed Todo item will send it directly to your Done list. If you don't manually archive your Todo items they will archive automatically at 4:00am local time, to keep your Todo lists clean. To archive a completed Todo item, hover your mouse over it, click ... that appears to the right of it and then select the Archive option. Press the following key combinations on your keyboard to navigate Todo like a pro! Press the T key to open or close the Todo window. If pressing T isn't closing your Todo window, make sure that the New Todo text field isn't selected, by clicking outside of the Todo window. While the Todo window is open, press the Left (←) or Right (→) arrow key to switch between your Todo lists. Hover your mouse over a Todo item and then press the Spacebar to instantly move it to your Today list. If you press the Spacebar on a Todo item in your Today list, it will return to the list it was in before. Looking for more Todo options? Momentum Plus members have access to even more options to help them customize their Todo lists. Check out our Getting Started with Momentum Plus Todo help article for more information about Todo custom, or upgrade today to unlock this feature and all of the other Plus benefits!